From Captain's Daughter to Army Mom: I inspire... Who knew? heirloom-quality Copper like I do, you'll want to shop only CopperGifts.com! Of COURSE, you are an inspiration!!! And they *better* send you a sample! ;) I believe they just got a free ad, LOL! 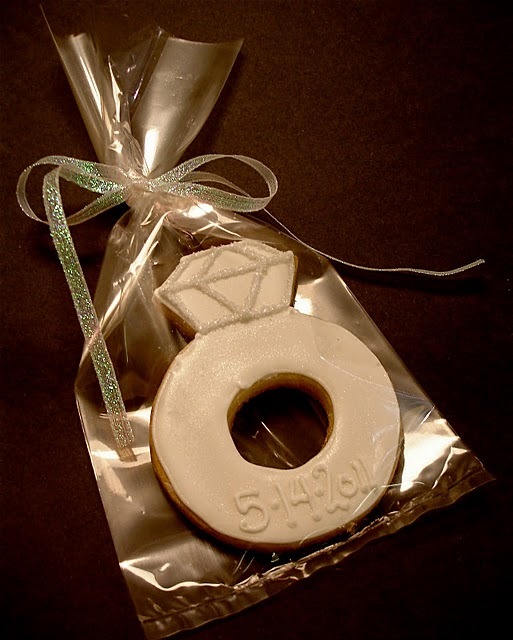 Your ring cookie is fabulous! You know, I never really liked that particular cookies cutter for some reason. Seeing how you decorated the cookie, well it is just so pretty. Your decorating skills have really enhanced the cutter and the cookie. Well done. I'm giving you a virtual high-five! That's awesome Janet. You an inspirtaion? OF COURSE YOU ARE! I'm quite sure they'll send you a cookie cutter, you practically designed it! Congratulations! These cookies look amazing! Janet! that is so awesome! Your cookies look absolutely marvelous! much better than their old version. You did a great job! and I need to order one of those rolling pins! I think your cookie looks beautiful and no doubt it's better than anything they've ever seen! Congrats on the well deserved kudos! Thanks for all your help Janice, you are definitely an inspiration! What amazingly talented people I meet "out here." This is awesome! I love your engagement ring cookies... I'm not surprised they were used by CopperGifts! They are smart to do so! God bless you always, Janet! Wow, good for you, Janet! Well of course!! Well done my dear... you are making a difference!! You are a SUPERSTAR! Really, you are amazing. Love Copper Gifts and love you too!